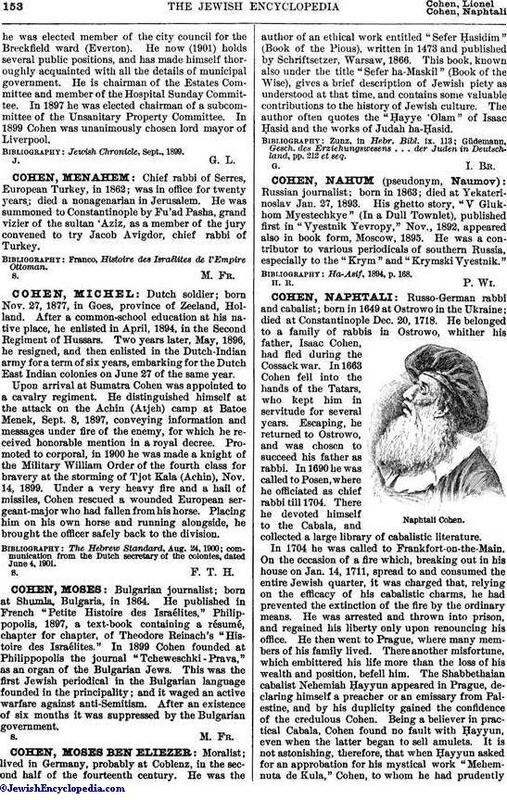 Chief rabbi of Serres, European Turkey, in 1862; was in office for twenty years; died a nonagenarian in Jerusalem. He was summoned to Constantinople by Fu'ad Pasha, grand vizier of the sultan 'Aziz, as a member of the jury convened to try Jacob Avigdor, chief rabbi of Turkey. Franco, Histoire des Israélites de l'Empire Ottoman.